Liz has some new monthly project templates for us today. These are monthly calendar and review templates, similar to last year, but with fresh and new designs. Both are 20% off through Sunday, January 22, 2017. 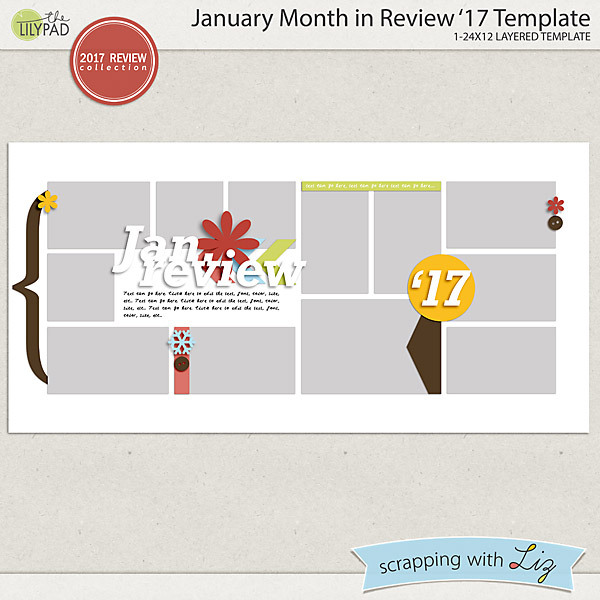 Scrap a review page each month, starting with January Month in Review '17 Templates. Your 24-page album will be ready to print at the end of the year. 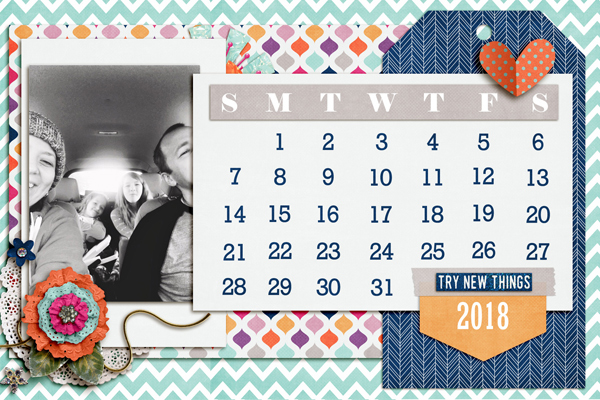 Even if you only scrapped one monthly summary each month, you will be documenting a whole year of memories! 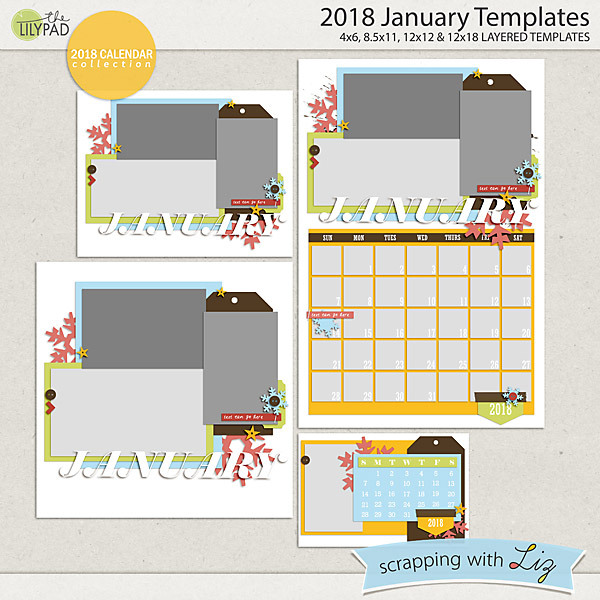 And if you scrap a calendar page each month, starting with 2018 January Templates, your 2018 calendar will be ready to print at the end of this year! 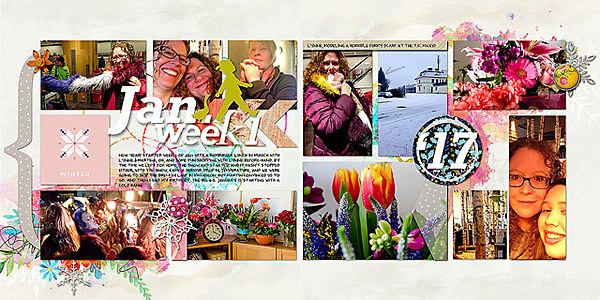 Christine scrapped a double travel page with January Month in Review '17 Template. And Amber scrapped a January Review page with the January Month in Review '17 Template. 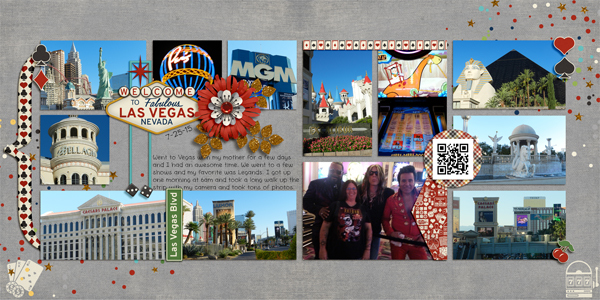 Katya scrapped a memory using the 12x12 size template in 2018 January Templates. 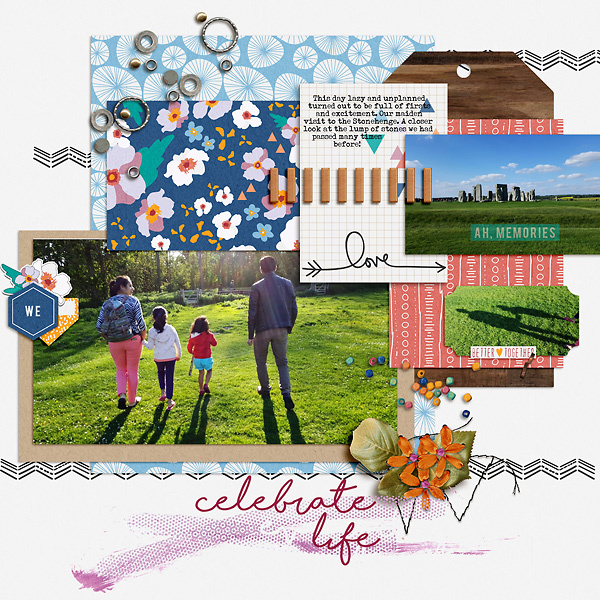 Abish scrapped this fun 4x6 card with 2018 January Templates. And Shivani used 2018 January Templates to scrap a regular 12x12 page.